Let us handle your roof work in Orchards! When a roofer is cheap they’re usually just that; cheap! But roofing materials and craftsmanship matter substantially. We offer the best materials at an affordable price. 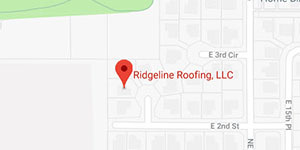 While one of our knowledgeable roofing contractors improves the roof of your home, feel free to stop by Orchards and some of its many sights and things to do. It’s a good opportunity to take a dog out for a walk! And there’s no better place in Orchards for this than Dogwood Neighborhood Park; it’s even named after them! But this 5-acre park has more to do than simply have nice walking trails for your playful pooch. Let the kids run some energy off on some of the playground equipment or brave the climbing net in a safe environment. Just make sure to leave before closing time at dusk! For something a little different, check out the events over at the Clark County Square Dance Center. Whether you’re a square dance expert or haven’t even seen a routine on TV, the facility has something for you. While it doesn’t have to be used for dancing, not doing it as part of your special event would certainly be a missed opportunity! Have no idea how to square dance? No problem! Training classes are available. While there’s plenty of space for your event, the facility owners still focus on old-fashioned customer service, so want you to call them directly to schedule events and for rental inquiries instead of using an online form. But it’s a great place with ample room for parking, including the option for RV parking along with the kitchen use, storage, a coat room, and much more. Hands down!!!! Thanks for all the help. Ridgeline came in and got a big job done fast! Best of luck to you guys.